Attention Baldur’s Gate: Enhanced Edition players! The 2.5 Update Beta for BG:EE has just been updated on Steam and Beamdog to v2.5.15.1! 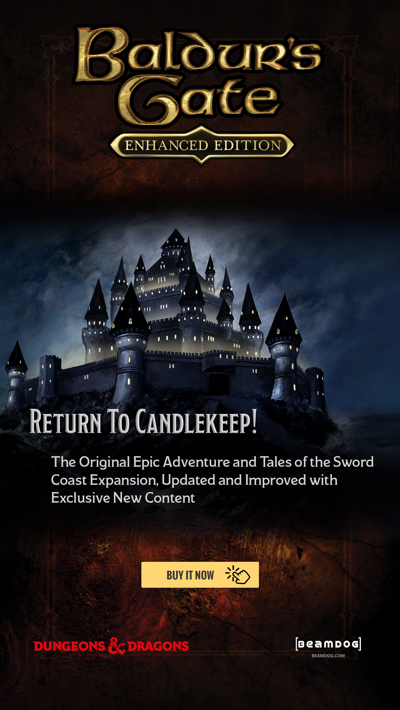 Please note that this beta update will temporarily bring the beta version of Baldur's Gate: Enhanced Edition out of line with Siege of Dragonspear. This will be addressed in a future update. An update to the beta currently available on Google Play will be coming soon. iOS specific issues will be applied on that platform when the full update is released. Hungarian is now available to players without Siege of Dragonspear installed. The Mac App Store version of BG:EE is still at 1.3.x. - when can we expect an update? Where/how do I download this content to my steam version of BG EE? Will the 2.5 update for BG:EE add in Story Mode? ADD Polish language to BG:EE II !!!!! Polish lang to BG:EE II, pls. I just bought the 2.367.3 Baldur's Gate version at GOG. Do I have access to the 2.5 Beta? 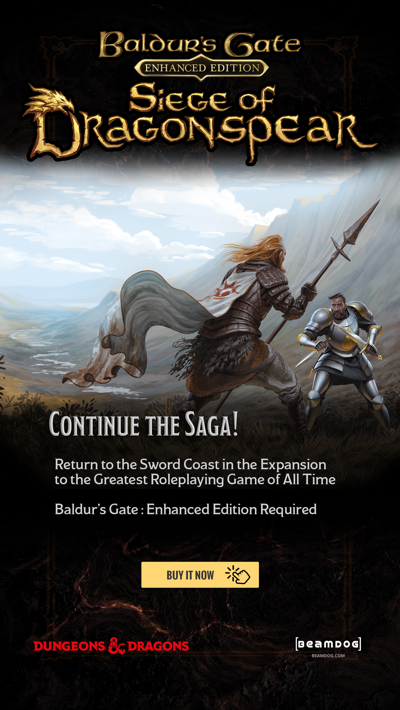 When it is complete do we get a free upgrade or do we have to buy the game from Beamdog? I just bought the 2.3.67.3 version of Baldur's Gate EE. Do I get access to the 2.5 Beta? And access to the completed 2.5 Beta when it is released? Do we need to buy the game again at Beamdog to get the 2.5? When is this update going to come to GOG? Can we also count on the Portuguese translation of Brazil? when do we get full release ? There's a bug with Dorn. He can't move in one direction for more than one second. Since the mig-august update, our multiplayer game has had issues where the client player keeps dropping from the game. Is anyone else dealing with this?